My Personal Mission As your professional real estate adviser, I focus on client satisfaction. My business is about service and I am not happy until you are happy. My years in the business have provided me the experience to assist you with nearly every real estate need. Whether it's finding you a home, finding the best loan, or helping you to get the most out of selling your home I am here to guide you. If there is anything you need, please let me know. About My Services: I will listen to your needs and wants to establish our goals and objectives. Knowing that you are reading this right now, tells me that you are comfortable with the Internet and email and that means you will be able to take advantage of my 24 hour electronic assistant right here on my Website. Please use my Website to provide you powerful features such as the access to the MLS to help you narrow down the ideal home. Selling your home takes special care and attention in order to get the highest possible price and you can feel free to use my site to compare properties in your neighborhood. If you find what you are looking for, then contact me and I will do my best to get you an answer or point you to a resource. Satisfied clients are the key to my success. My satisfied clients are my best resource for new business. In this very competitive business of real estate, service makes the difference. My service is second to none and has earned me a valuable source of referrals. If you are considering a real estate professional, please give me an opportunity to earn your business too. I am confident you will be very happy! Listing courtesy of Realty One Group Gold. LOWEST Space Rent in Stanislaus County! Easy livin' in this BRAND NEW single wide in the heart of Oakdale! Finishing touches being done now! Hurry! This one won't last! 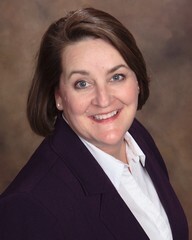 "Karen handled our home sale with the highest degree of attentiveness and professionalism. She went the extra mile to make sure everything proceeded ... more "
"If you're looking for an honest, Straight forward, No-nonsense agent Karen is the one you want. She doesn't skip a beat with doing all she can for her ... more "